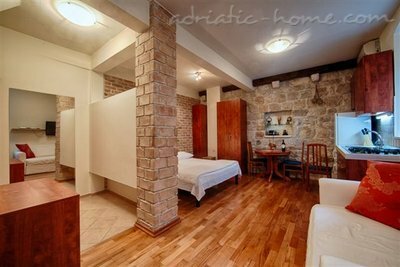 Villa Nonna is a stone house in the historical centre of Komiža, it was built with the stone of the best quality from the island of Brac. 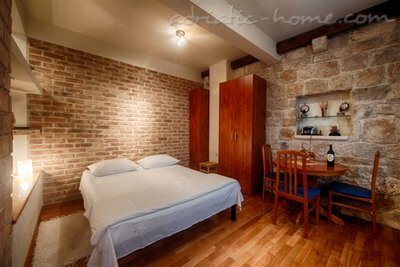 Villa is situated in the longest kala (old Mediteranean street) of Komiža – Ribarska ulica (Fishermens street), which extends from central square to hotel’s beach. 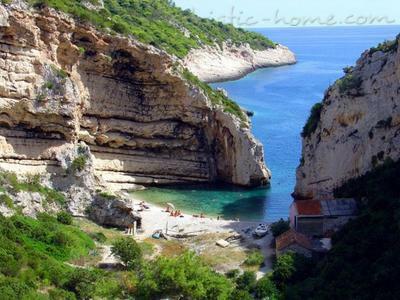 Villa Nonna is located only 10 meters from the sea, and 3 minutes by walking from the beach of Hotel Biševo. Some twenty years ago, the Tavern ‘Nona’, used to be at the spot where the ground floor of Villa Nonna is today and it was one of the first such taverns in Komiža, an open type with a grill upon which guests could cook their own fish. For the people of Komiža, this tavern was a synonym for this house, and hence its current name “VILLA NONNA”. Salvia apartment is located on the ground floor, garden side of the house. 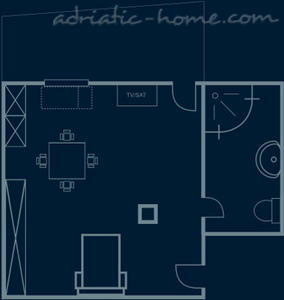 It has a room size 27 m2 and a bathroom 4.8 m2. 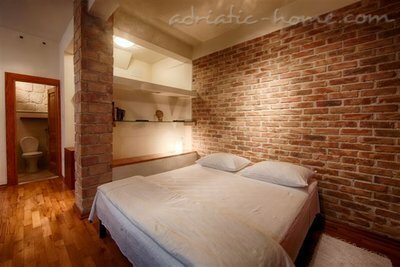 It is comfortable for two people or couple with a child. 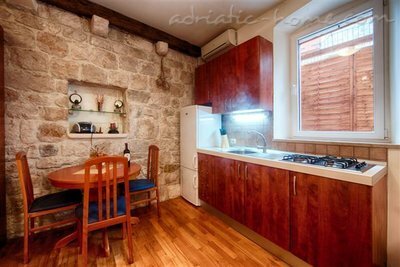 The apartment has a fully equipped kitchen Nišu with furniture. 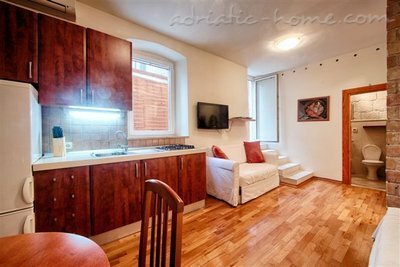 Apartment Salvia has a large sofa (extra bed if required), Sat TV, air conditioning and heating system. 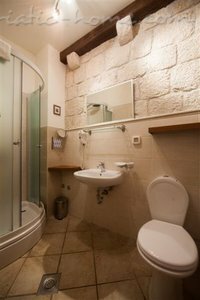 Bathroom has old stone walls and modern sanitary equipment (shower / WC, hair dryer, rotation, mirror, heating, etc.). 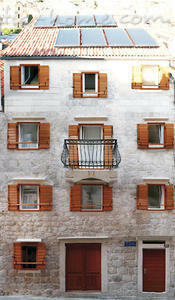 As part of this apartment is a little garden approximately 10m2, which has wooden chairs and a table. 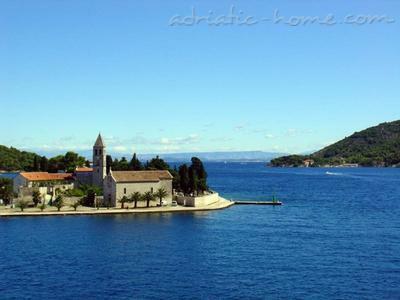 Each year in the pre-season I visit island of Vis, a beautiful island for relaxation and rest. The first year I stayed in Villa Nonna and I always go back.